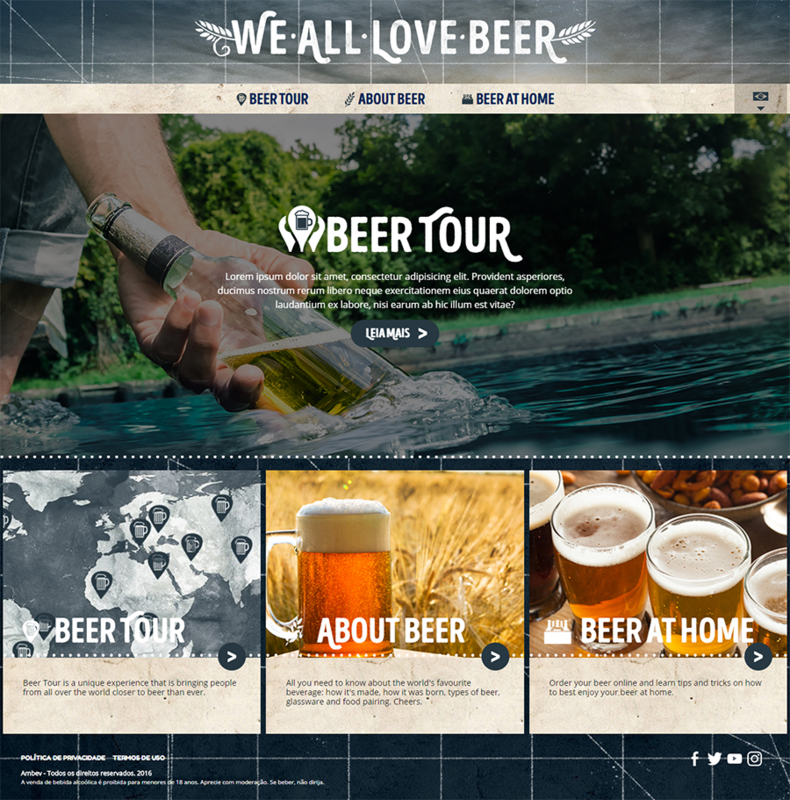 Webcore has produced, for the CP+B agency, an international website for AB InBev that every beer drinker will love. 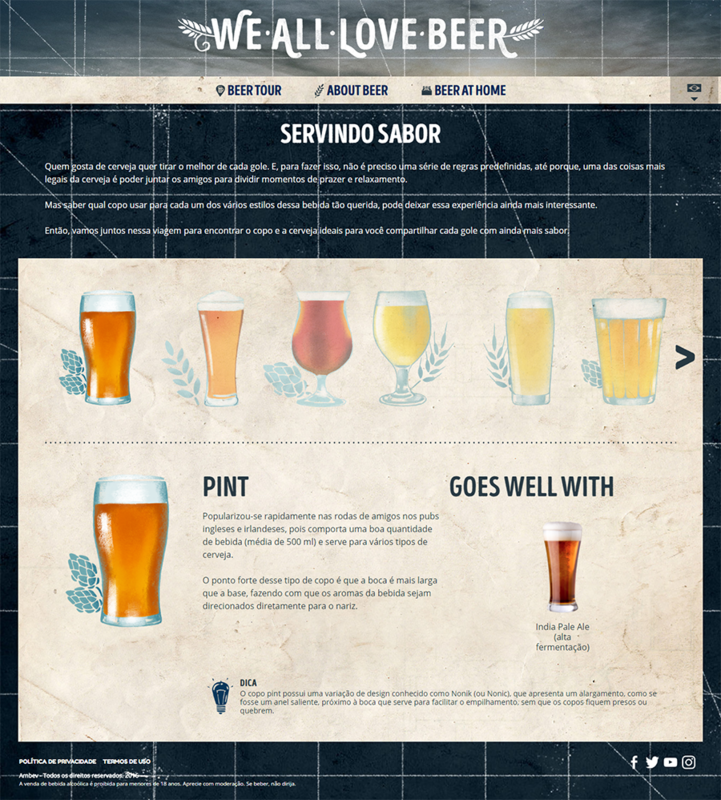 Available in several languages, you will get to know the history of beer, its different styles and flavors, the development process, the appropriate glasses for a better experience, food that harmonizes with each beer, tips, curiosities, and much more. 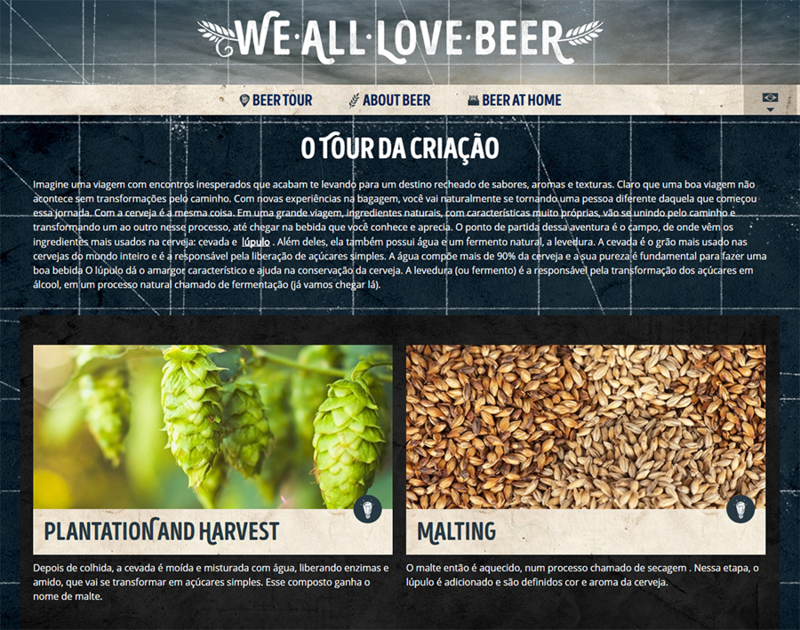 Take a “Beer Tour” and learn all about beer and its natural ingredients. Check out breweries from the entire world, cultural events, barley fields, tastings, and everything about the brewing culture around the world.